Are your customers becoming more demanding and sophisticated? Do you feel your sales team comes well-prepared to pricing conversations? Are you fully leveraging data analysis to inform negotiations? Are you trying to make it all work in spreadsheets? Attend this session and learn tips for equipping sales to close even the toughest negotiations with maximum profitability. There’s a better way to empower sales conversations to drive profitability. 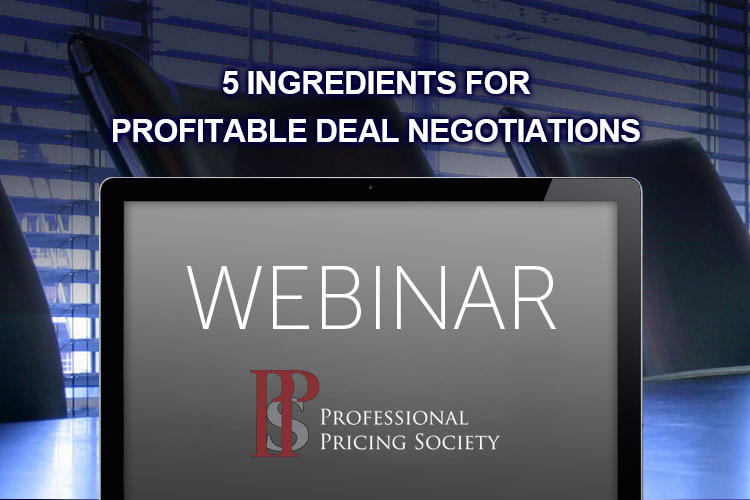 Watch now to learn how to facilitate fruitful collaboration between pricing, deal desk and commercial teams and drive measurable results in deal negotiations.